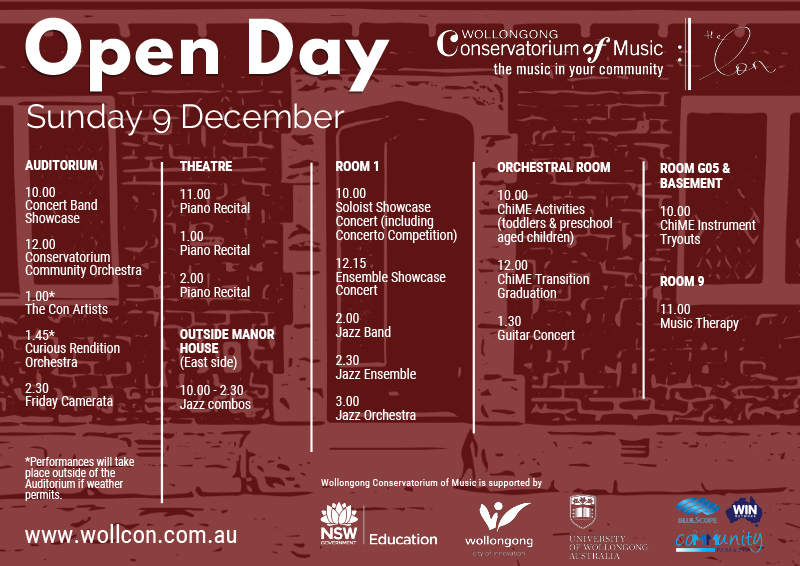 Our Open Day provides an opportunity for many of our students to perform as soloists or as part of an ensemble. We encourage students who will not be performing in an instrument-specific concert (Guitar Concert or Piano Recitals) to register to be involved in the Soloist Showcase Concert (limited places) or the final 2018 Performance Day Concert (late November). We will also have a selection of snacks, drinks and a sausage sizzle to raise funds for students attending the BlueScope Youth Orchestra tour to Greece as well as fundraising coffee and cookies from the Girl Guides.